Brady Finn's mission is to take his company to the next level. Aine Donovan plans to stop him. But soon their searing attraction gets the better of them, leading to a pregnancy shocker nobody expected! PR expert Melanie Costello has signed on to make over millionaire Adam Langford's rebellious—even though the CEO is her former one-night stand. Surely she can resist his charms this time. Her career depends on it! 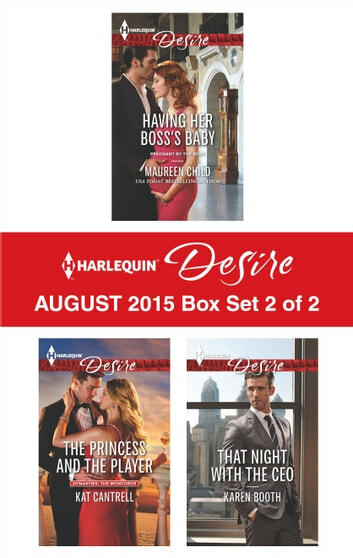 Look for Harlequin® Desire's August 2015 Box Set 2 of 2, filled with even more scandalous stories and powerful heroes!